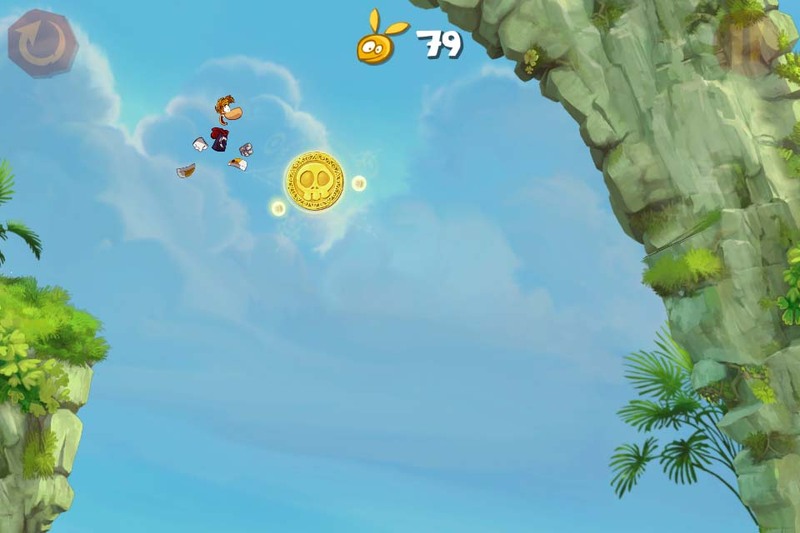 10 word description: Rayman auto-running platform game with one-touch control. Game Center. 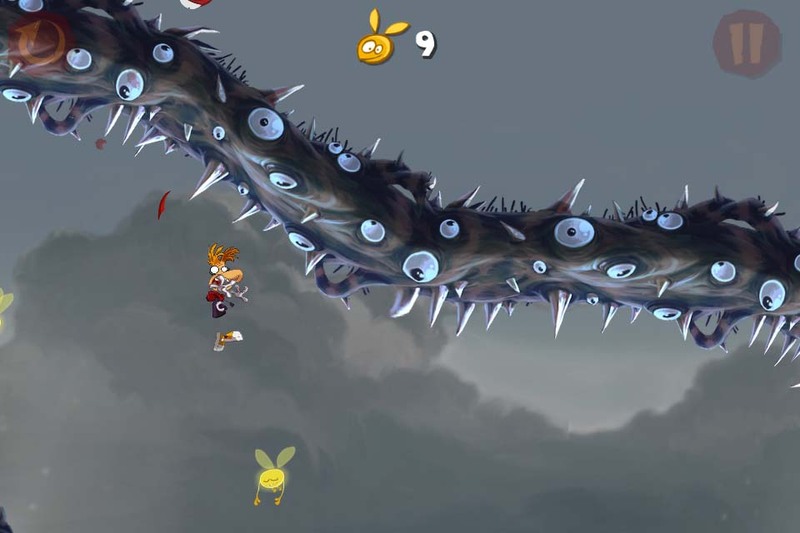 10 word review: Slick, stunning looking; puts Rayman on rails to excellent effect. 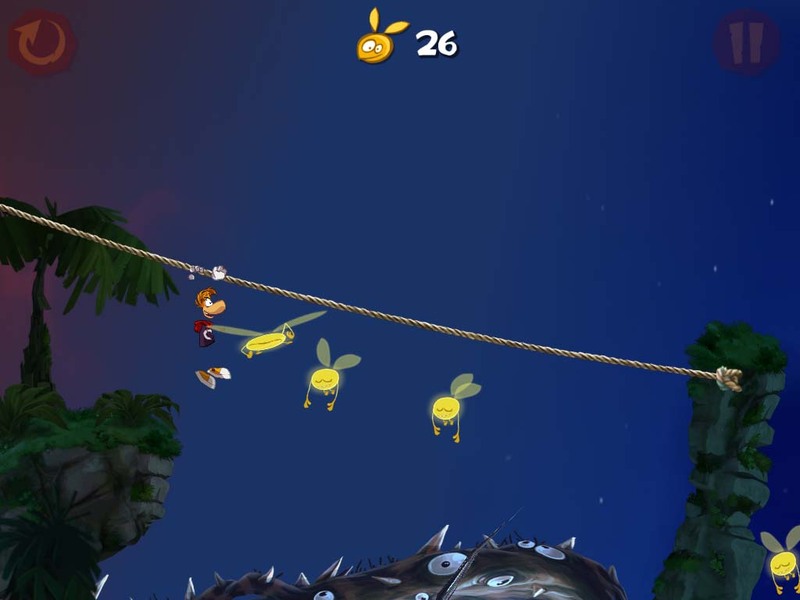 You will like this if you enjoy: Rayman, auto-runners, speedy wall-jumping, zip-lining, rope-swinging platform games. 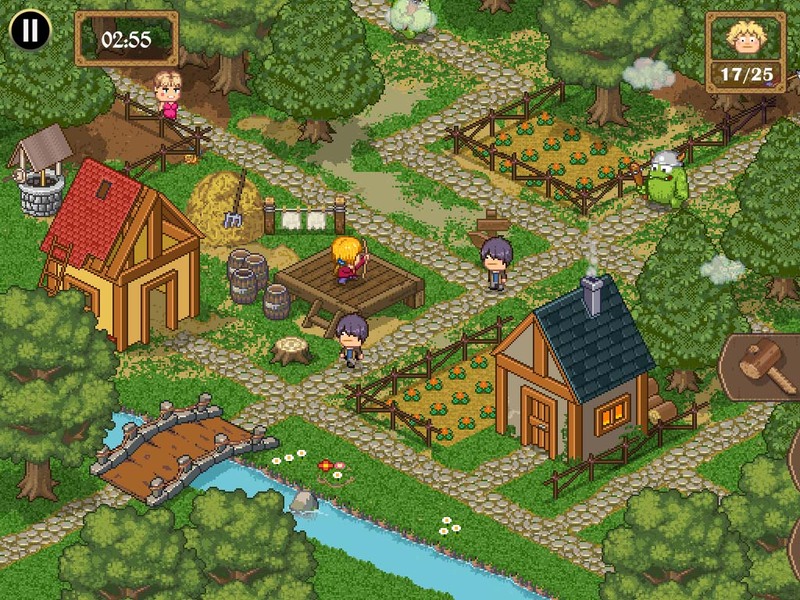 The good news: The graphics are excellent, with great performance on my 1st gen iPad and 4th gen Touch. 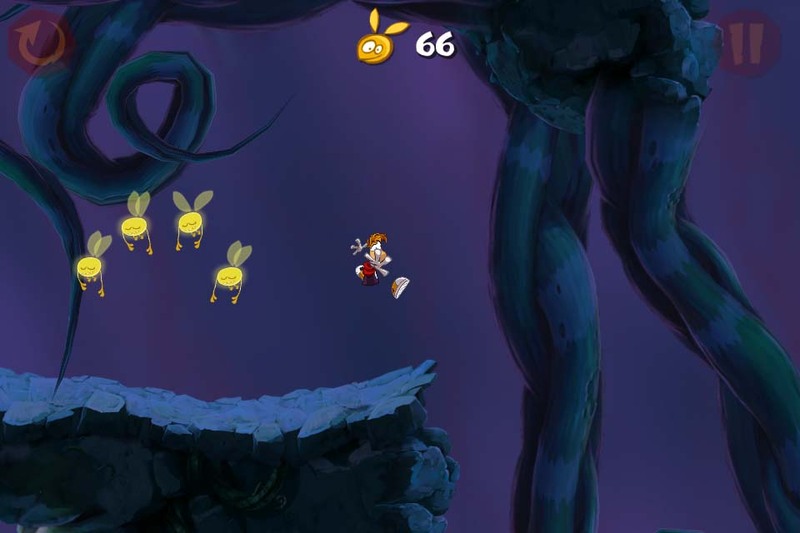 Audio is of a similar high calibre; groovy Rayman tunes and a subtle jumping sound effect that doesn’t become annoying. 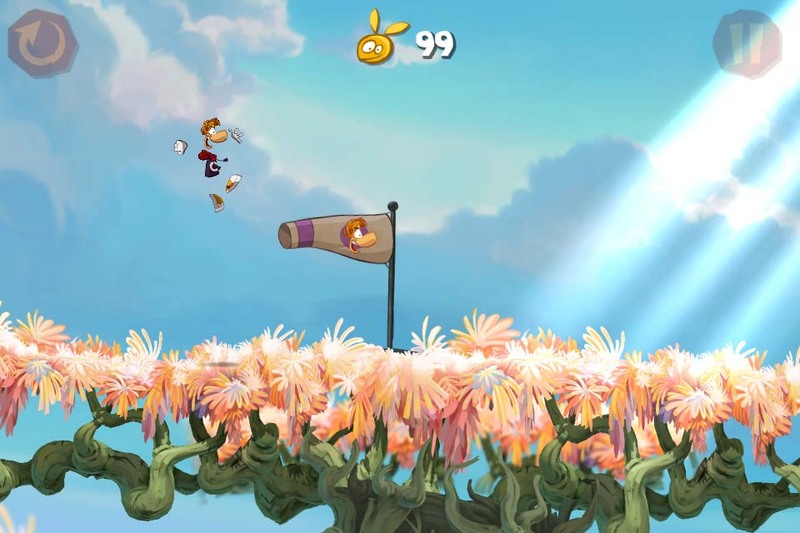 Level design, while nothing stunningly original, uses plenty of elements from Rayman Origins and delivers a consistently fun and often impressive variety of challenges. Nasty killer roots. Now the lyric (at the top of the review) makes sense, right? 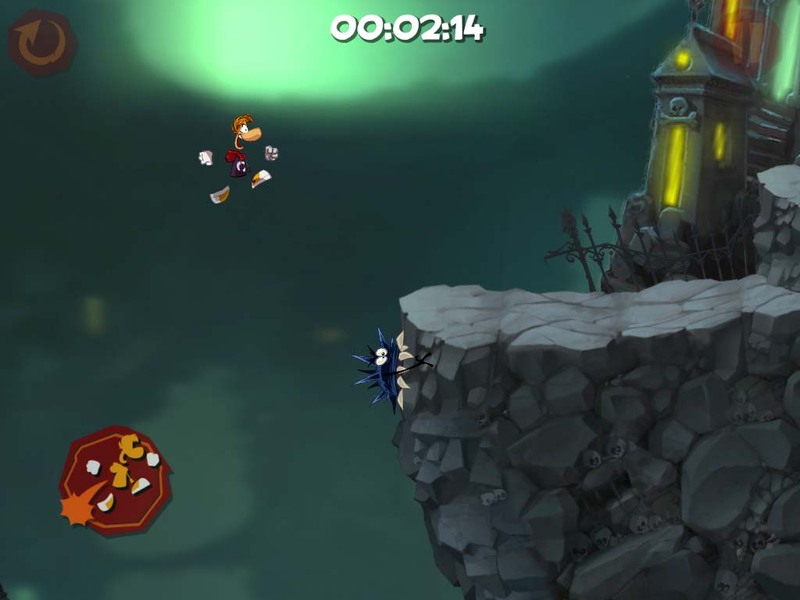 The bad news: If you go in expecting a proper Rayman platform game (with directional controls) you might be disappointed. 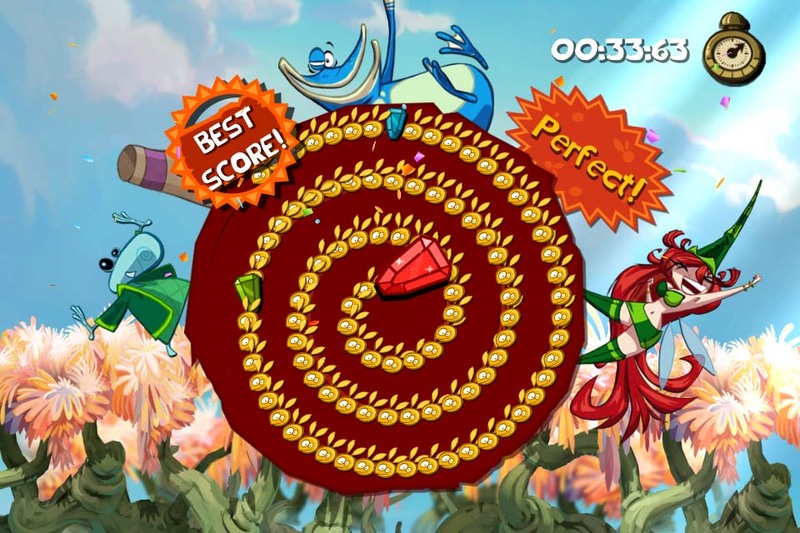 As my 4-year old son asked, after playing through a few levels on my iPad, “Where’s the fight button?” Note to concerned parents and assorted do-gooders: He has played the demo of Rayman Origins a couple of times on an XBOX 360 in Toys R Us, he is not a drooling couch potato addicted to video games – that’s just me. Arcadelife verdict: I’ve got two conflicting views on this game. 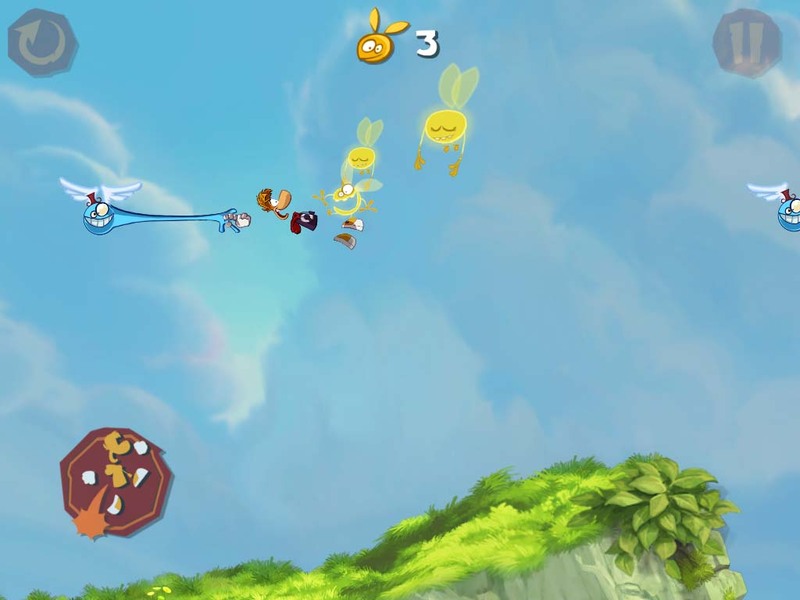 The first one is that this is a very good mobile interpretation of Rayman Origins, with gameplay and controls simplified to suit short bursts of gaming on touch-screen devices. 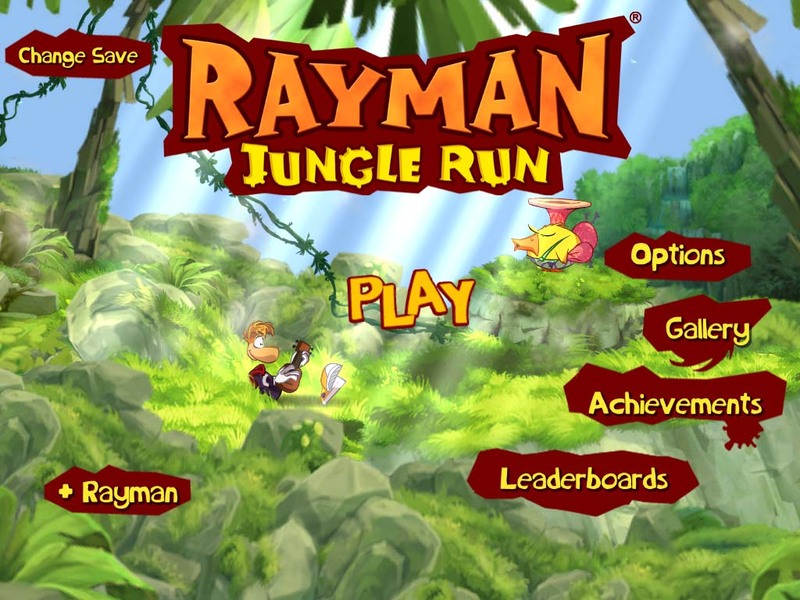 The opposing view is that this game engine is obviously more than capable of running a fully featured 2D Rayman platform game on iOS, so why didn’t they do that instead? Ultimately, speculating about what could have been done doesn’t take anything away from the game they have produced, but it does make me wonder. 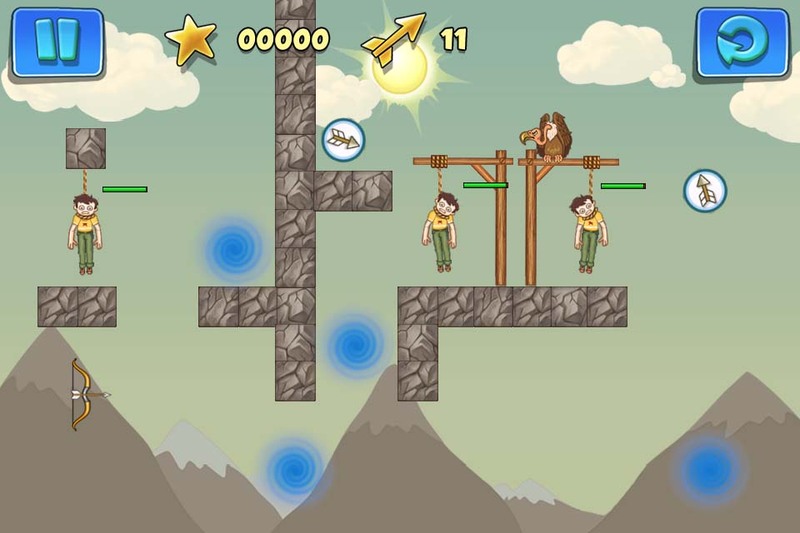 Providing your iOS device can run this game – it does not support iPhone 3G or any previous device – and you’re not going to throw a tantrum because it’s an auto-runner, I suggest that you get it as it’s easily one of the best looking and endearingly entertaining action/runner/platform(ish) iOS games available. As is often the case, there could always be more levels, but the challenge of getting anywhere close to 100% perfect completion should keep most people going for quite some time. 10 word description: Block building / destroying. Jetpack, rocket launcher, multiple textures. 10 word review: Not much to do, plenty to spend real money on. 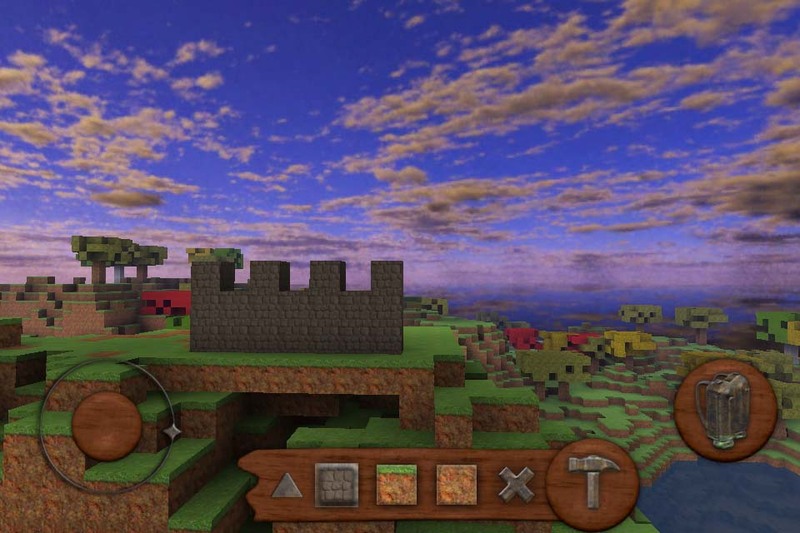 You will like this if you enjoy: The risk-free building mode in Minecraft. Lego. Pretty skies. Walking on water. The good news: It mostly looks quite pretty and the performance seems ok on my test devices (iPad and 4th gen Touch). Building and destroying are both easy to do, as is moving around. 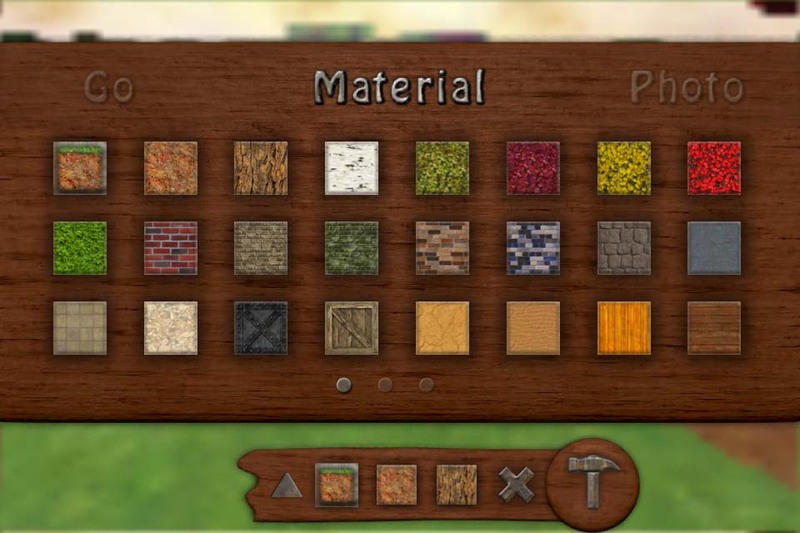 If you love virtual building blocks and you don’t own Minecraft (an unlikely combination, granted) you will probably like this. The bad news: It’s not a game. Beyond texture changes, you can’t really do much. Water isn’t water, it’s a solid block with a static watery texture. There is no way to add lighting, no torches. The rocket launcher often doesn’t destroy, it adds a small number of blocks until you change the selected texture. Way too much of the content is available at additional cost. The controls and texture selection icons can’t be hidden for screenshots. Draw distance isn’t that great. Arcadelife verdict: It’s a start, but that’s really all it feels like. 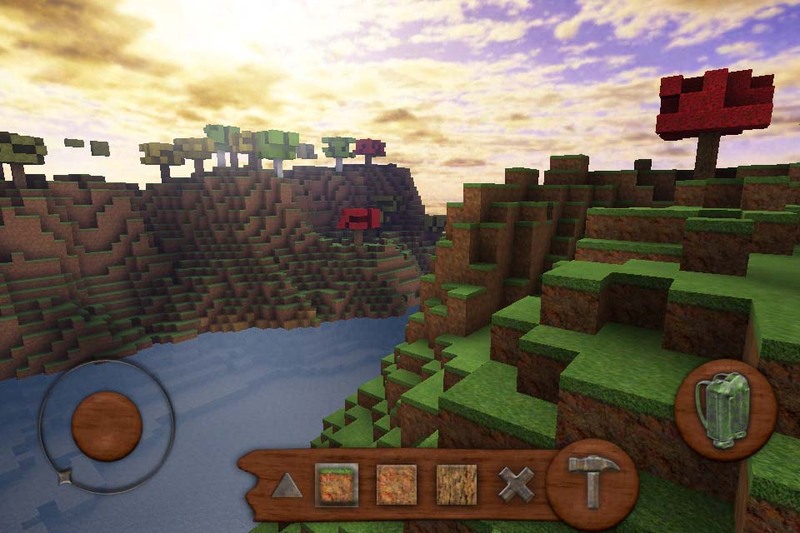 Without any objectives or challenges, you can see everything Block Earth has to offer in the first few seconds. 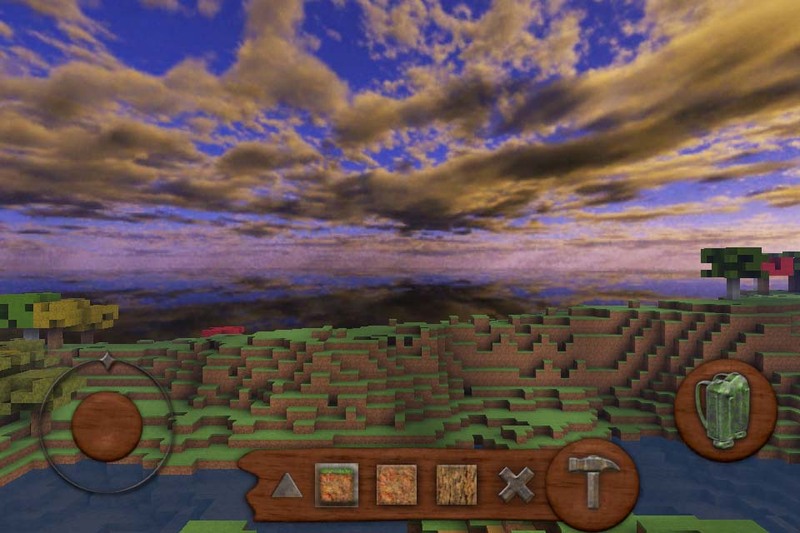 The game engine is decent enough, as are the graphics, although the draw distance could be improved. 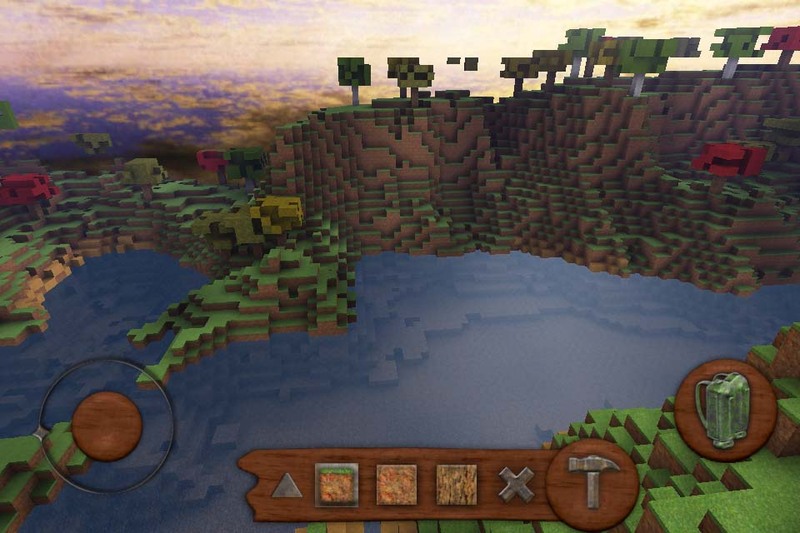 The controls need a bit of tweaking and special blocks, like water, need to behave differently from normal blocks. Walking on water and hearing the clunk-clunk of your footsteps is just wrong. 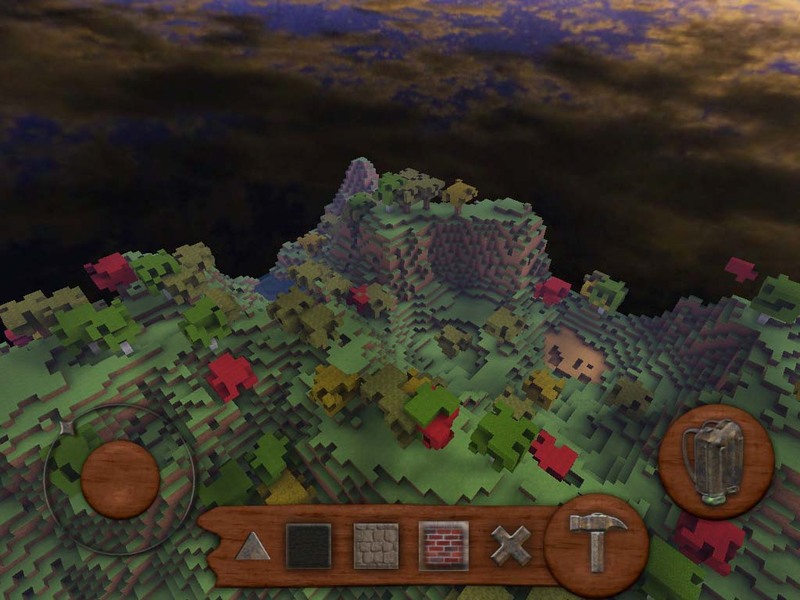 If this is all Block Earth is ever going to be then that’s a shame as there’s a good game waiting here, even if it is another Minecraft clone. Why not do something a bit different, stay away from the mining, crafting and fear of night that define Minecraft’s gameplay and maybe come up with some objectives based on constructing specific sized buildings to attract alien lifeforms… or anything else that you can think of. 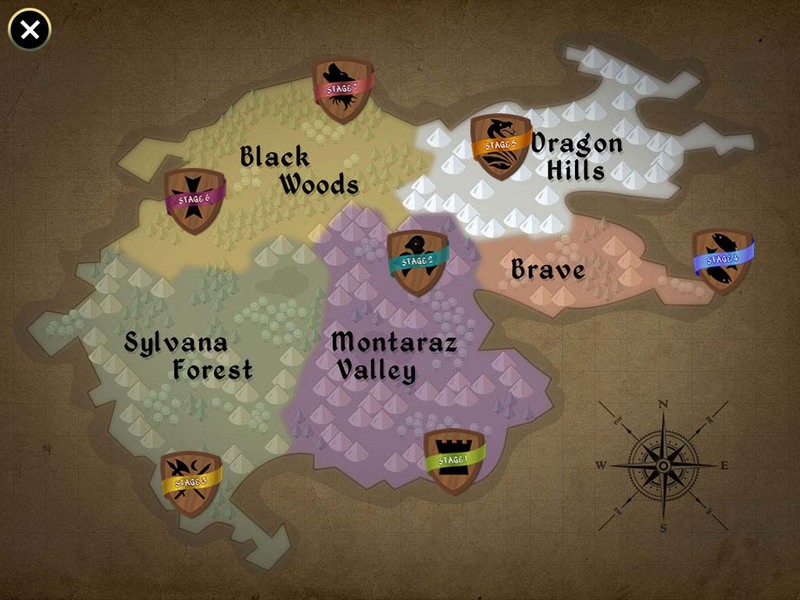 Keep the world-building familiar but get innovative with the gameplay. But then what do I know? I’m just some old gamer with a review site. 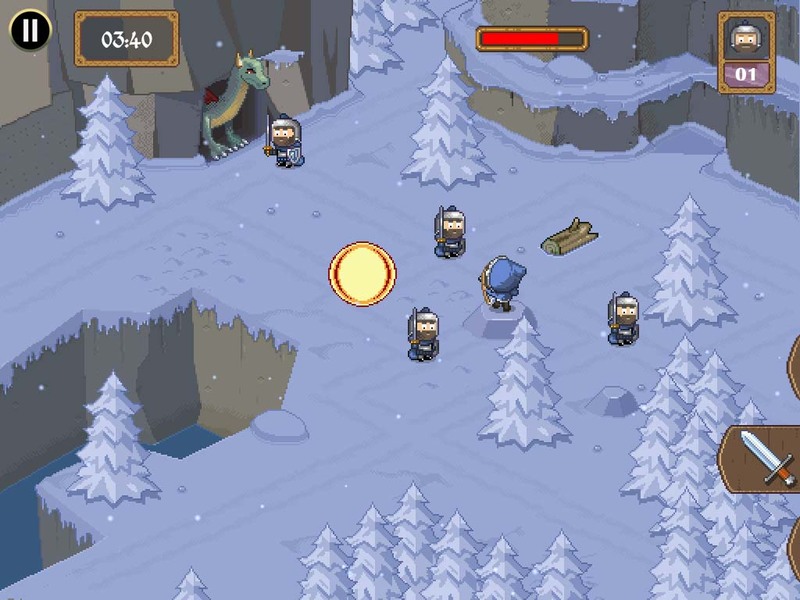 10 word description: Strategy / reaction based medieval vs aliens defence game. Various scenarios. 10 word review: Nice looking but very simple gameplay. No upgrades or levelling. 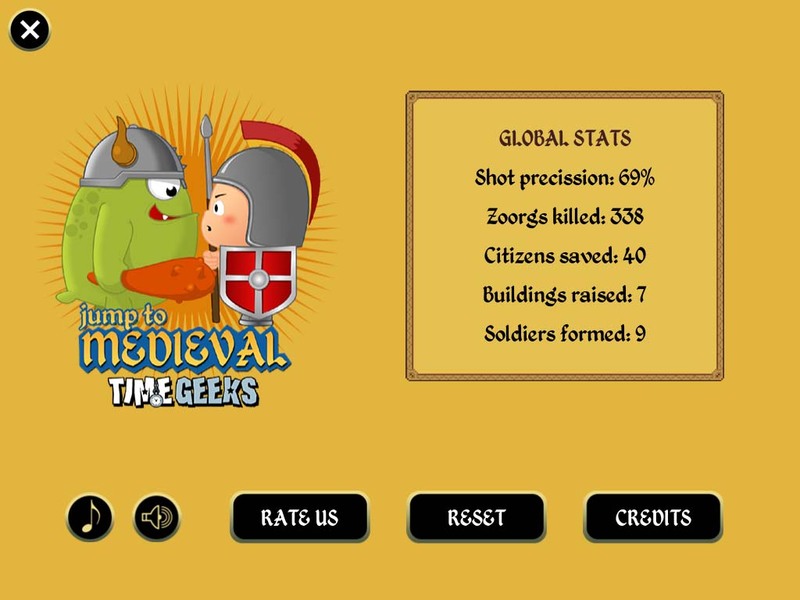 You will like this if you enjoy: Castle/village defence games with short, simple scenarios. The good news: It looks pretty. The controls are ok and it’s an easy game to pick up and play. No IAPs. The bad news: Scenarios are either very easy or suddenly rather tough (until you figure out the prescribed way to beat them). There are no upgrades or any concept of levelling up characters or defences. Scenarios have no score or rating; once beaten, there’s no incentive or reason to replay a scenario. The erratic leaps in narrative and gameplay mechanics from one scenario to the next undermine any real sense of progression. One scenario appears to fail for no apparent reason, every time. Overall the game seems very short. Arcadelife verdict: Well, it feels like a demo of a much larger, deeper game. 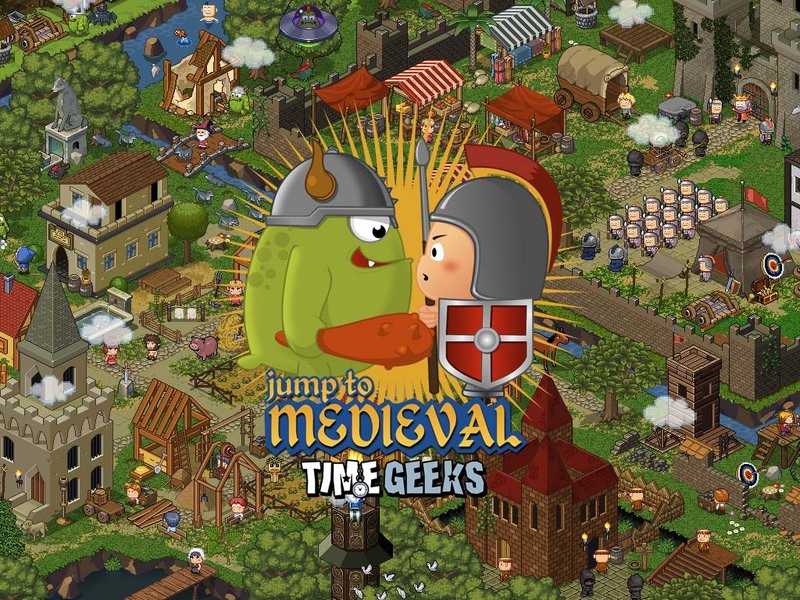 There’s nothing fundamentally wrong with Jump to Medieval, just a nagging sensation that some things are missing or not quite right. 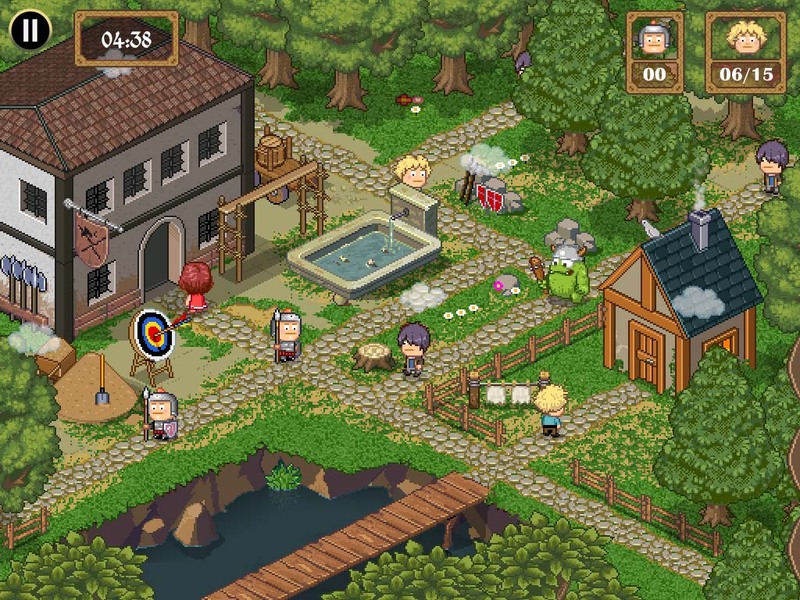 The archers are introduced in scenario one and reappear in other scenarios, but they never develop or improve although, in one later level, the archer is no longer a “drag to aim & shoot” guy, he fires at a fixed position when you tap him. There’s no explanation for this and it adds to the overall impression that the game is a group of disassociated single screen events rather than a progression through a related sequence of narrative driven missions. As soon as you think that you are starting to master a strategy, as basic as it might be, the game switches you into a different scene that plays very differently from what has gone before. I’m not criticising variety, because we all love variety, but here it seems to exist at the expense of consistency and immersion in the game. And, a final nail in the coffin of fun, the scenario where you have to protect the 4 wizards in the forest seems to fail every time for no reason, at least no reason that I can see. I’ve failed it with more than one wizard remaining and over 30 seconds left on the timer. If anyone can explain that to me, it would be much appreciated! 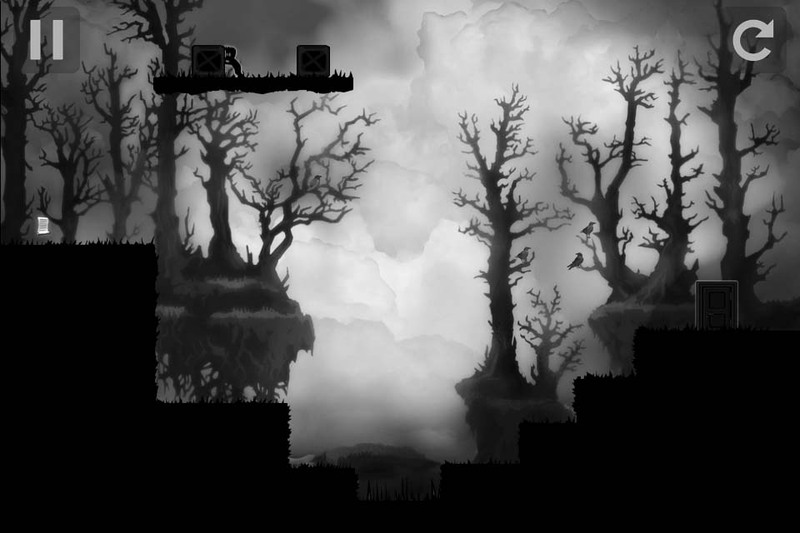 10 word description: Monochrome style platform puzzler. Jump, push boxes, reach the door. 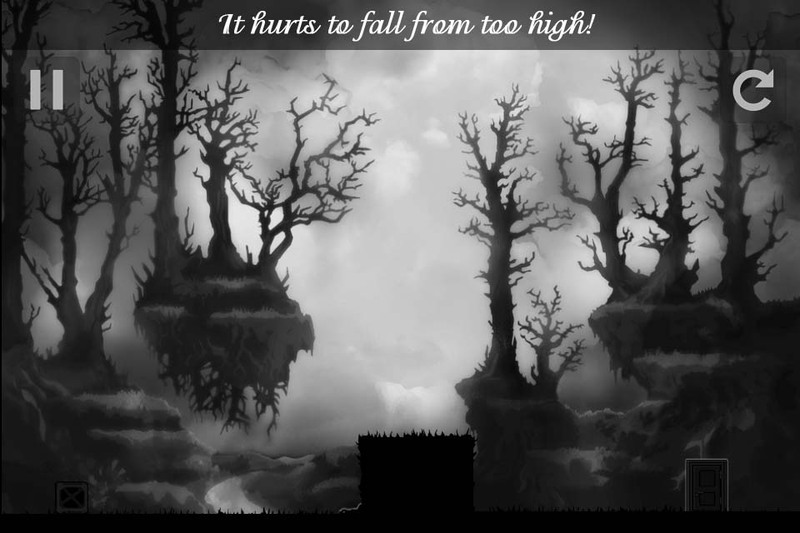 10 word review: Limbo imitator with flawed controls and jumping. Glitches don’t help. You will like this if you enjoy: The challenge of poor controls, erratic collision detection and death pits that are invisible. 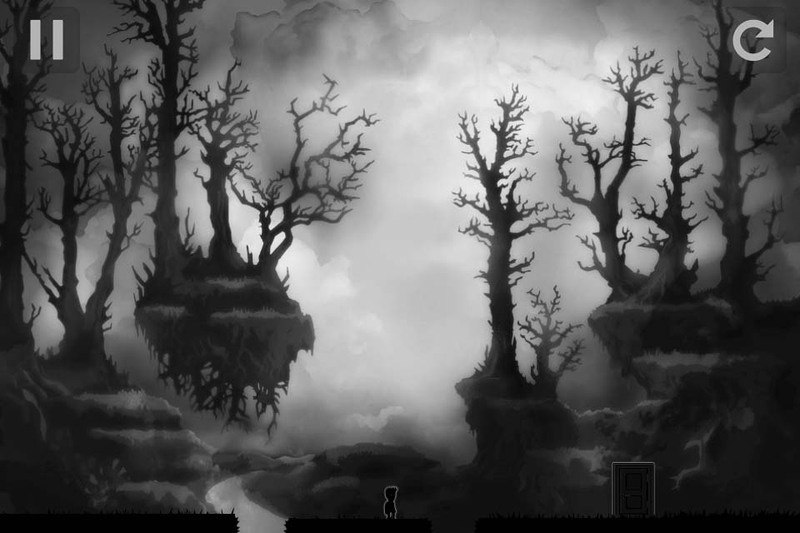 The good news: The background graphics, although obviously “inspired by” Limbo, are quite atmospheric. The bad news: Controls feel unresponsive and awkward. 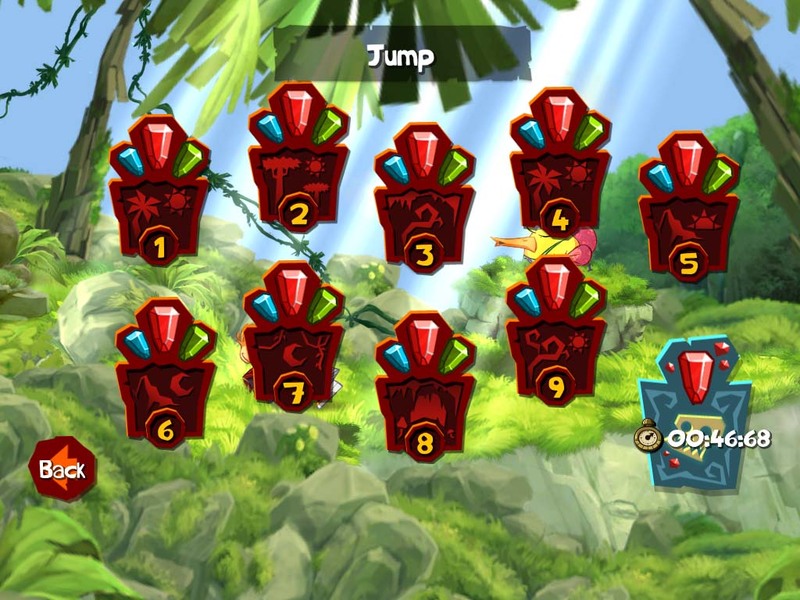 Jumping doesn’t work properly, or it deliberately works in a way that ruins the game – I can’t decide. Either way, this game should have been tested a lot more before it was released. 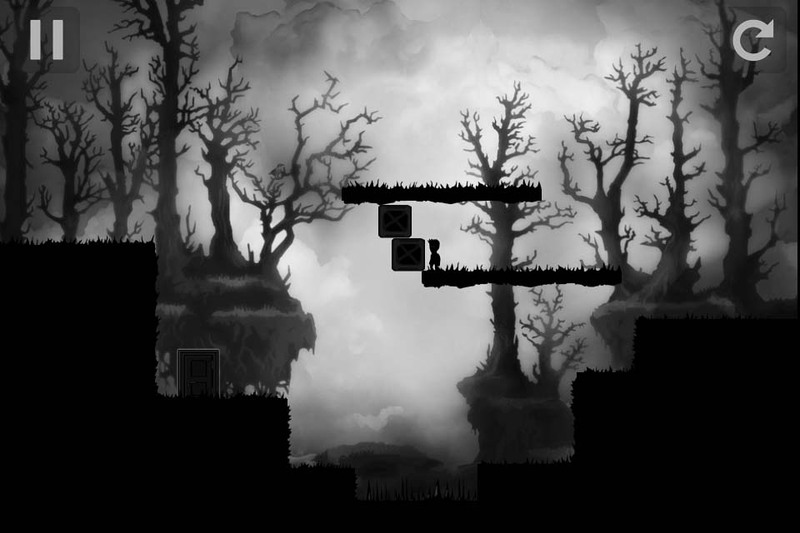 The game is very dark, but not in a good way; player character is hard to see because it’s so small and mostly the same colour as the background. It also moves either painfully slowly or in strange surges of glitchy speed. Object interaction, kind of a top priority in a platform puzzler, is unpredictable and frustrating. Transitions between screens (menus, level select, etc.) are plagued by The Curse of Game Salad, meaning they are very slow. Arcadelife verdict: I wasn’t sure whether to review this or not, as I can’t find anything good to say about it and that kind of blatantly negative review generally doesn’t serve any useful purpose. 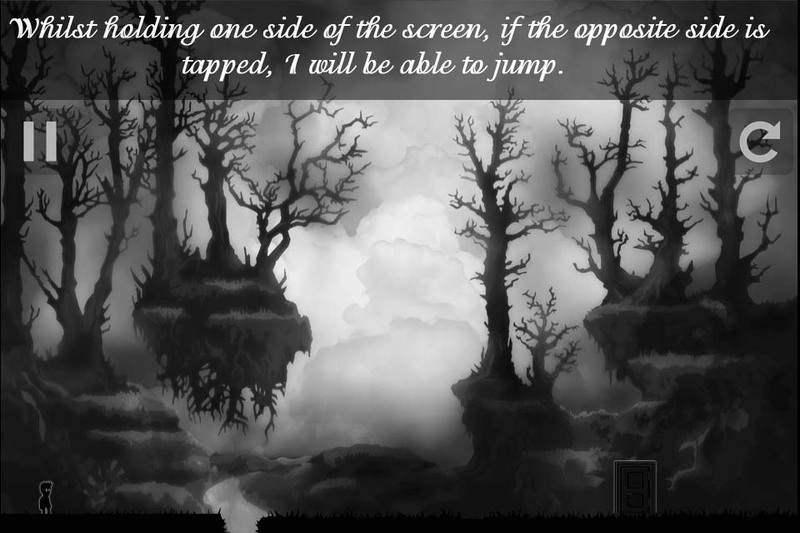 However, if you were tempted by the prospect of playing a Limbo style game on your iOS device, consider this a warning. Wait until the game is significantly updated, then come back and have another look at this review. If an update manages to resolve the majority of the issues, specifically the jumping and general glitchy interaction with objects, then I will amend this review (and the game’s rating) to reflect that. The last picture (above) needs some explanation. What happened here, as far as I could tell, was that I managed to glitch into the next screen – where that message about falling makes some sort of sense – but my character remained on this screen, stuck in the ground just to the left of that large dark rectangle. I know it’s hard to see, that’s the nature of this game. 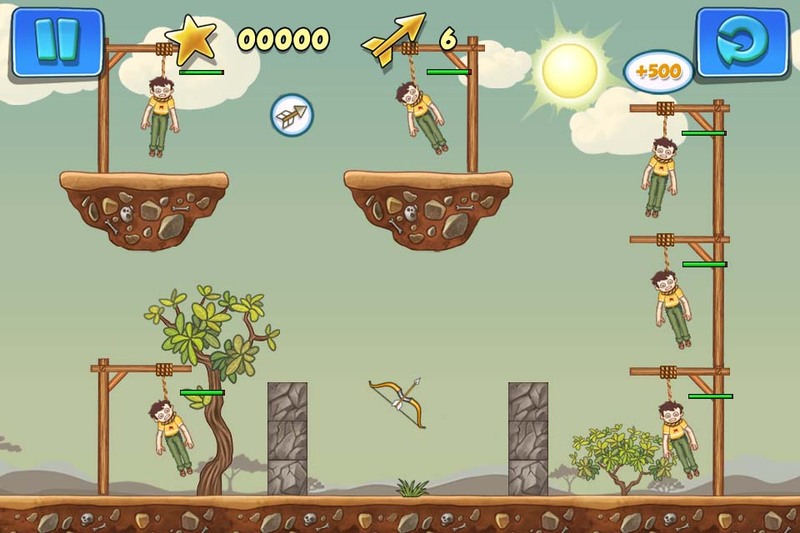 10 word description: Bow and arrows arcade puzzler / sequel. 50 levels. Game Center. 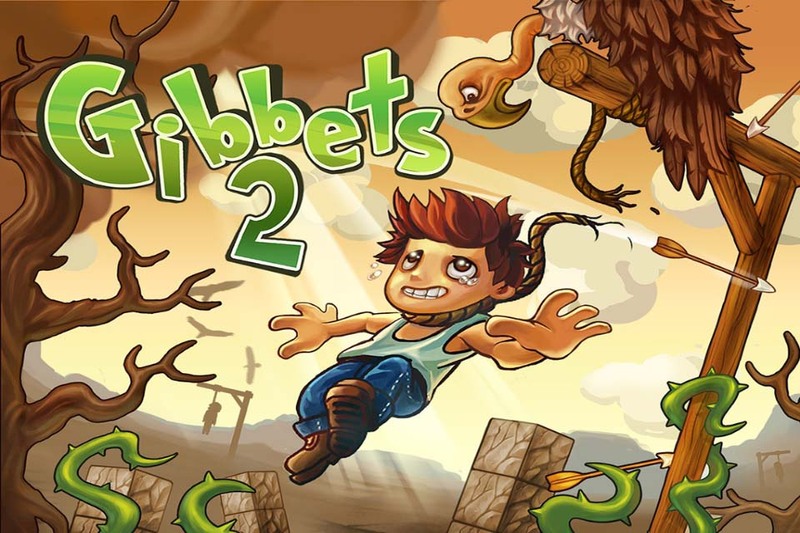 10 word review: Improves on the original; addictive with some innovative puzzle elements. 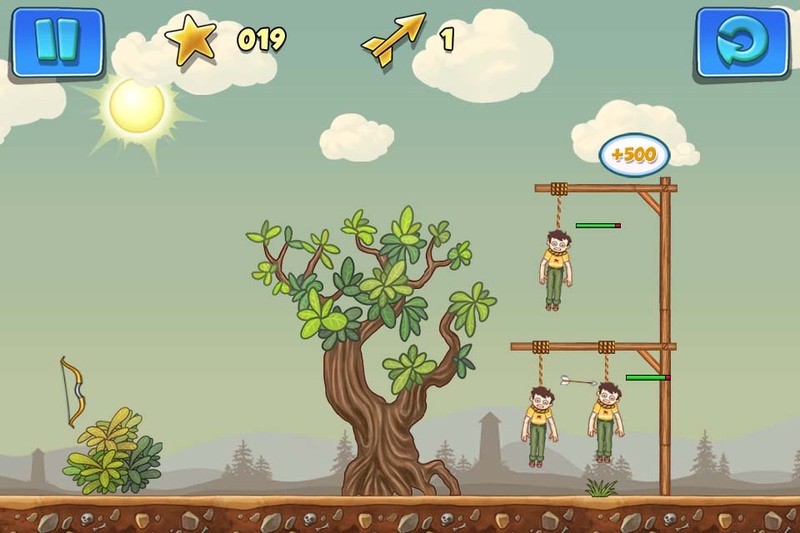 You will like this if you enjoy: The original Gibbets game. Other aim, drag & shoot games; Fragger, etc. 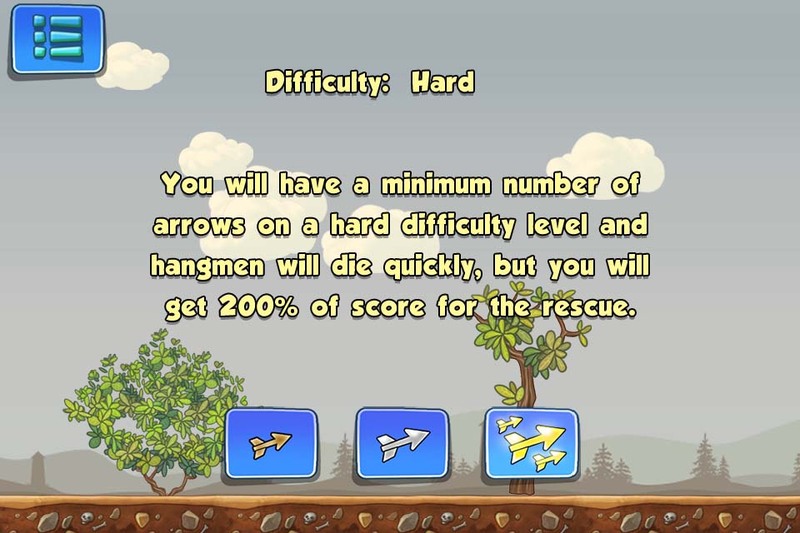 The good news: Very good control method; you can draw the bow back by dragging your finger anywhere on the screen, not just the place where the bow is located. Intro/tutorial levels are helpful without being too simple. 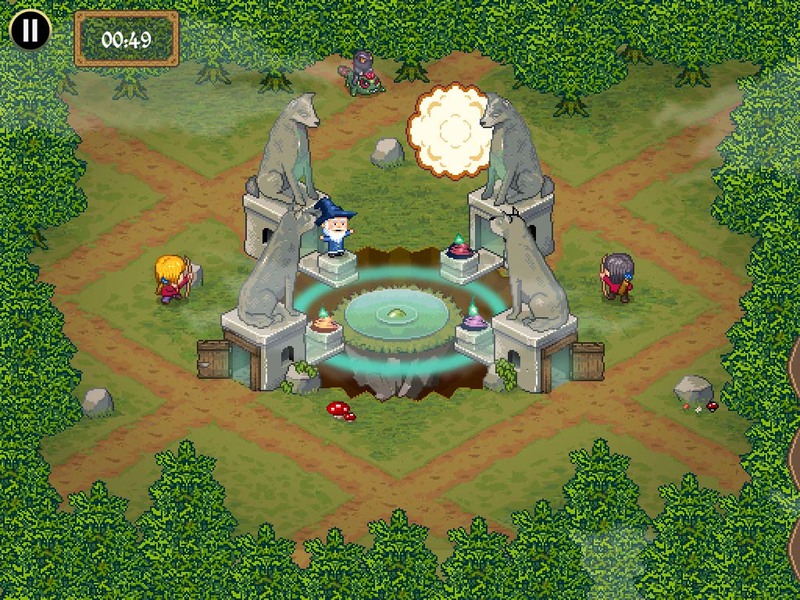 Difficulty can be altered at any time without having to restart, or redo earlier levels. Graphics and sounds, while not jaw-dropping, are good and suit the game. Hang on, this is horrific! 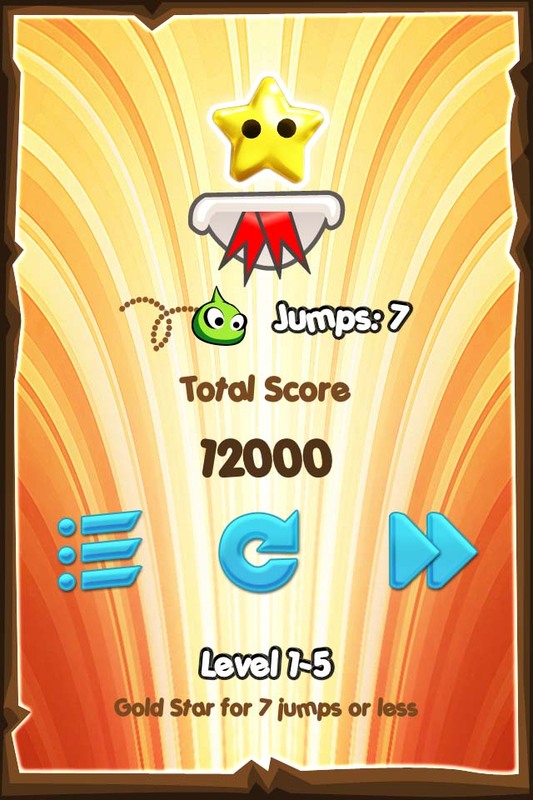 The bad news: Each level must be completed in order to progress; if you get stuck on a level, that’s it until you eventually manage to beat it. Not necessarily “bad news”, but worth mentioning as it may be a negative factor for some players. Arcadelife verdict: Although it’s a port of a mouse-controlled Flash game (note – the levels are not exactly the same) considerable effort has been applied to making the controls as touch-screen friendly as possible. 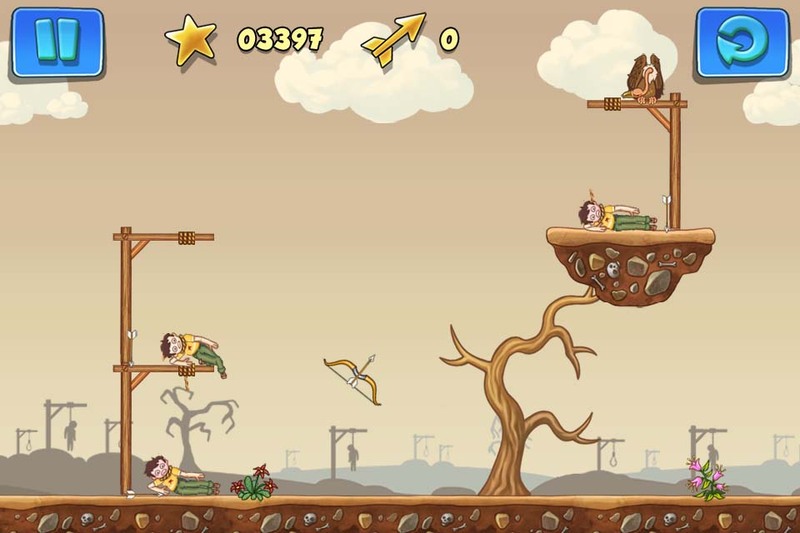 Unlike the majority of this type of 2D shooting/lobbing games, you don’t have to draw back the bow at the bow’s location. Kind of a relative-touch bow-drawing control system and it works really well, eliminating (almost 100% of the time) issues where your finger leaves the edge of the screen by accident while aiming. As for the gameplay, it’s nothing new – it is a sequel after all! 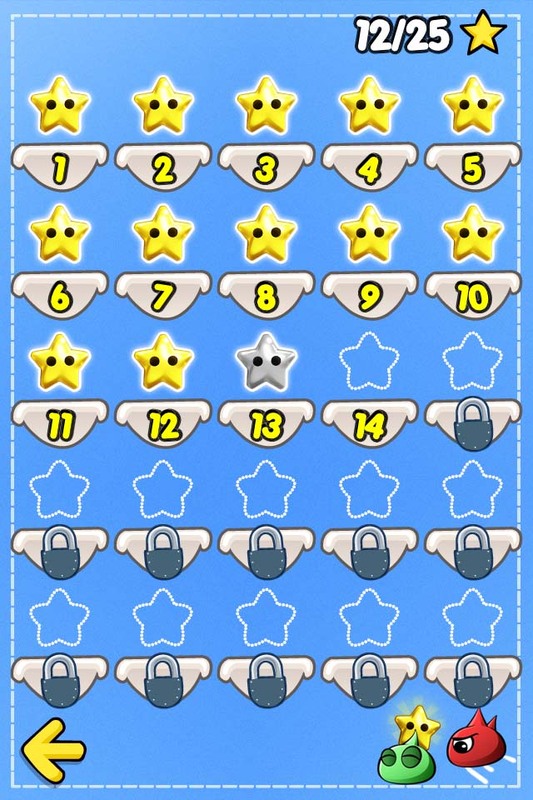 – but it’s addictive and quite a lot of fun, at least until you hit a level that leaves you stumped for a while, or until you go and look at the solution on YouTube… just be aware that the levels don’t appear to be the same, or maybe just not in the same order, as the ones in the original Flash game. 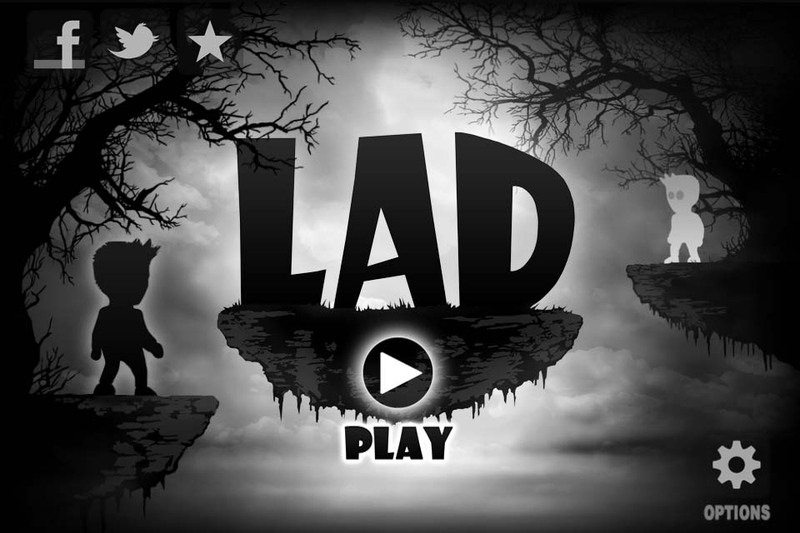 There’s a free/lite version with quite a few levels if you fancy trying it before you buy. 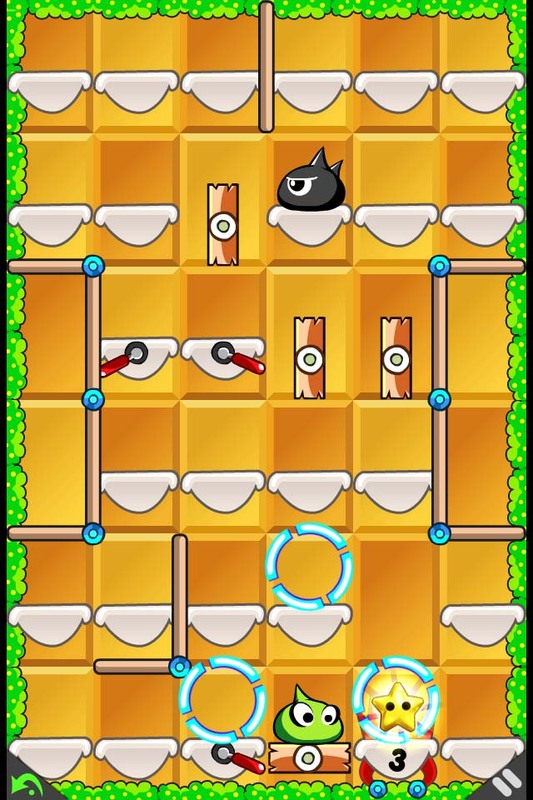 10 word description: Turn-based 2D platform/maze logic puzzler. 100 levels. Game Center. 10 word review: Solid concept, tough without frustration. Polished, nice looking, good controls. You will like this if you enjoy: Logic puzzles. 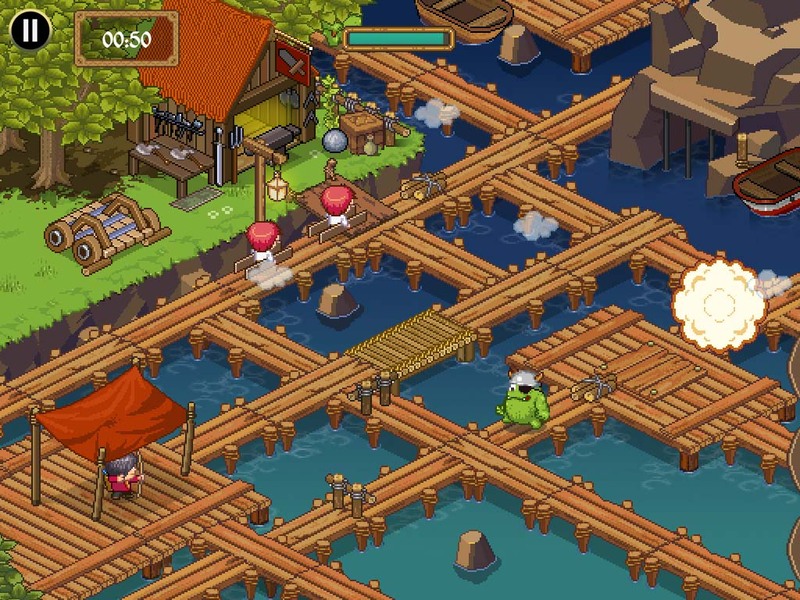 Turn-based platform games … personally, I think the world needs more of them. 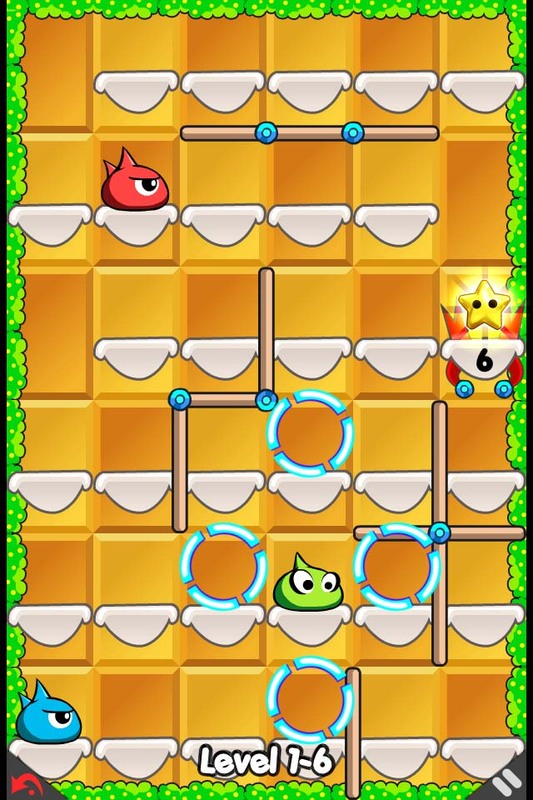 Toki Tori; ok, it’s not that similar, but it seems to involve the same parts of my brain… the small, feeble parts. 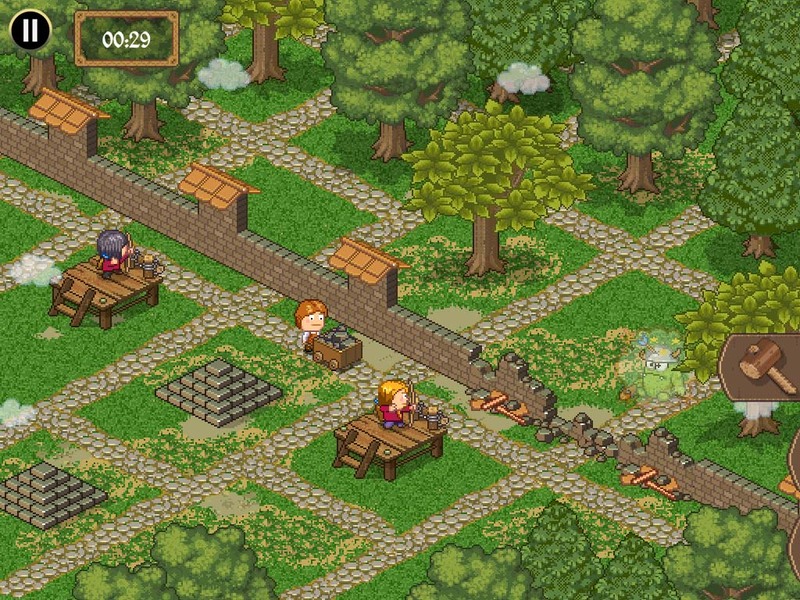 The good news: While not 100% original, it’s a nice change from the usual iOS puzzle games. 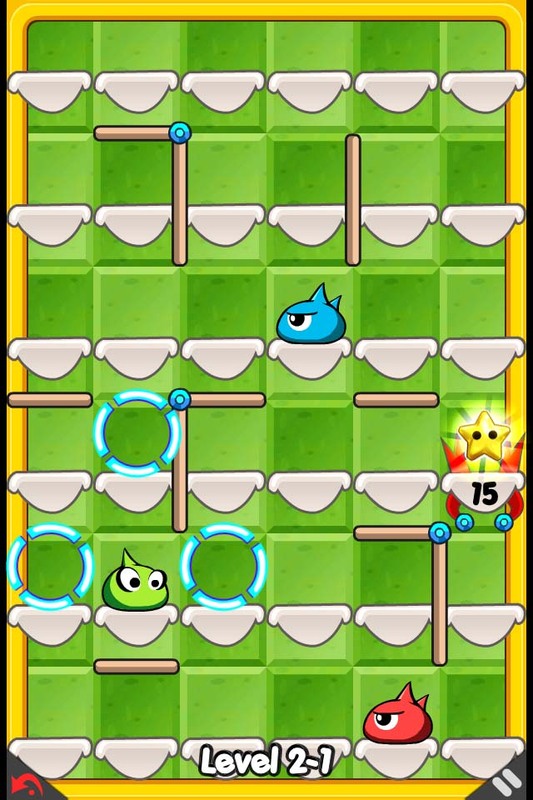 The basic turn-based puzzle concept is very good; different elements are introduced on a regular basis. 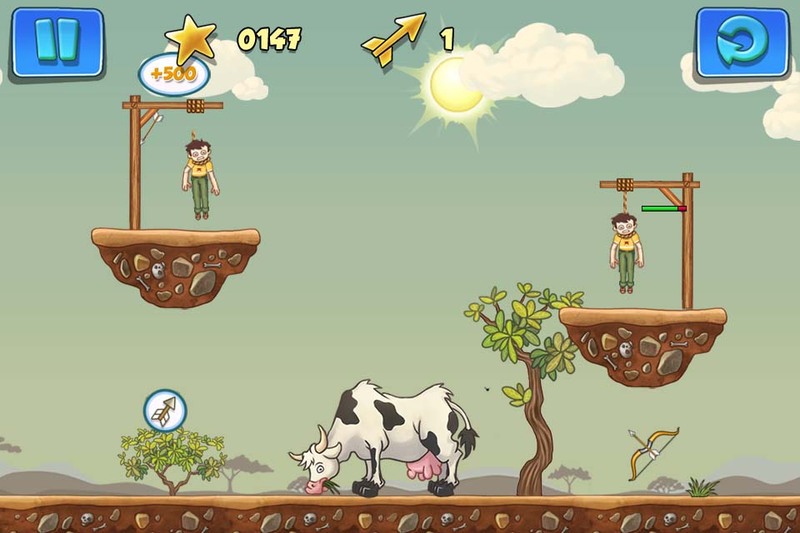 Graphics are good, enemies and objects nicely drawn. Plenty of levels. 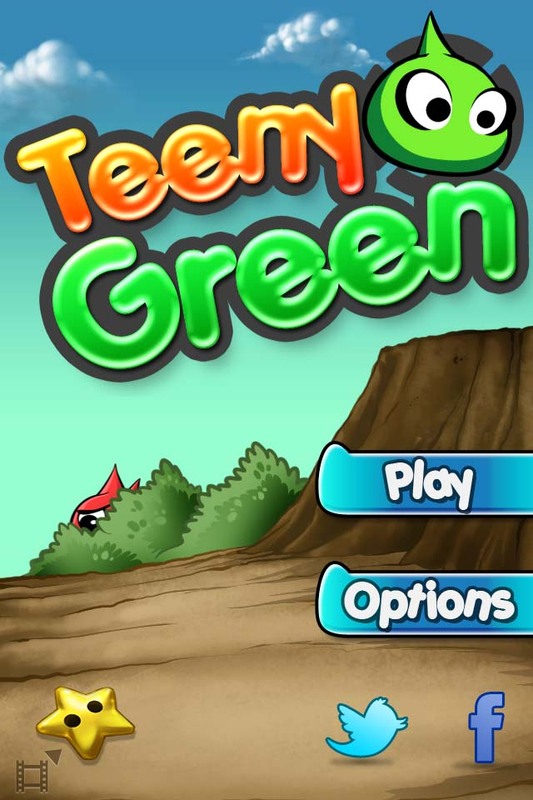 The bad news: The name (Teeny Green) sounds like the smallest miniature golf game ever. Arcadelife verdict: This one is pretty good all round, providing you’re a fan of logical puzzles and don’t mind a bit of trial and error when things start to get tough which, for me, was quite early in the first set of levels. I’m not even sure why I’m reviewing this game, as it isn’t particularly new. I’ll just blame it on the fact that I’ve had no internet access for the last 3 days. 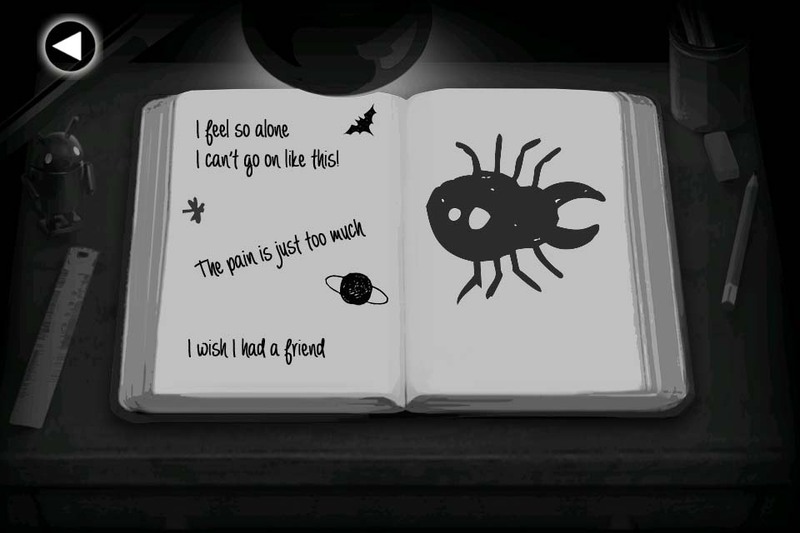 Hey, at least you got to read about a decent game that you’ve probably never heard of. You’re welcome. Sorry, but it wasn’t my fault. Apologies to anyone who was expecting a review, news item or anything at all to appear on Arcadelife recently. My Internet Service Provider has been spectacularly failing to provide any kind of a service for almost three whole days which, as we all know, is a lifetime on the internet. So, Virgin Media, no thanks at all for that. They can expect a communication from me very shortly stating exactly why I’ll be getting a refund. The stupefyingly annoying voice of the woman reciting the same uninformative phone message for three whole days should be worth a full year’s refund on its own. Customer service? What the hell is that? At least I’m bothering to explain where this website has been since Tuesday and, last time I checked, nobody is paying me to do any of this. I’ll get a review posted as soon as I can. You are currently browsing the ArcadeLife : Life vs Video Games blog archives for September, 2012.